Here’s a trivia question for snooker fans: how many players have won the World Championship seven times at the Crucible? If you answered ‘one, Stephen Hendry’ then you’d be right. Kind of. But you also probably didn’t see The Nap, a marvellous play with a snooker theme which ran for three weeks at the Crucible just before the annual green baize bonanza. And you also wouldn’t know that John Astley has joined the elite group of players to have made more than ten century breaks at snooker’s most famous venue. Confused? Let’s take a step back to the day last December when Astley got a call out of the blue from World Snooker asking if he wanted to appear in a play. The casting director of The Nap was looking for a player of professional standard for a key role. Astley, a 27-year-old from Gateshead, won the Rookie of the Year award in 2014 but then dropped off the tour a year later. As he had no specific playing commitments he was able to take time away from his work as a coach and commit to the role. After a brief and successful meeting with director Richard Wilson (aka Victor Meldrew from one Foot In The Grave), Astley was handed the part. 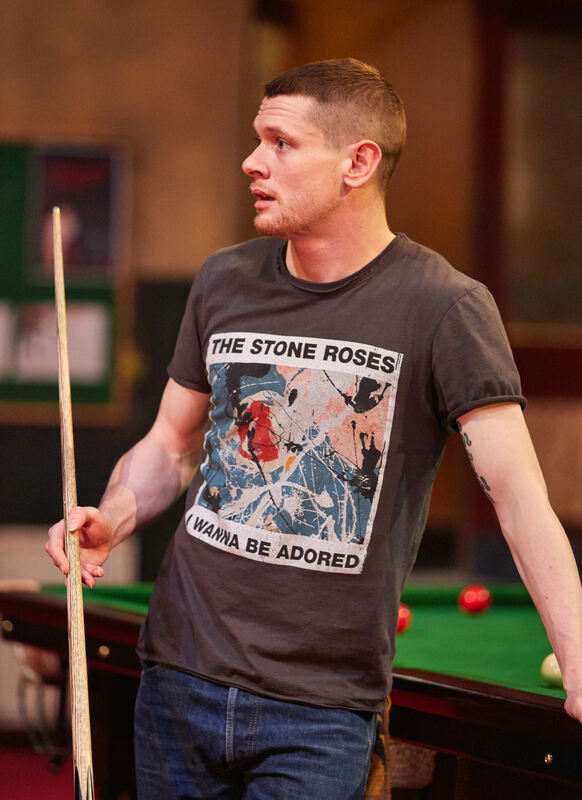 The Nap, written by Richard Bean, tells the story of Dylan Spokes, a talented snooker player from Sheffield whose dream is to win the World Championship, if he can overcome complications caused by a colourful, criminal father and a trans-sexual gangster called Waxy Chuff. It boasted a stellar cast, including Jack O’Connell, who starred in Angelina Jolie’s Hollywood film Unbroken, Ralf Little, perhaps best known for his role in The Royle Family, and Mark Addy who was in another Sheffield-based classic, The Full Monty. Astley recalls: “On the first day of rehearsals in London I just turned up with my snooker cue and had no idea what to expect. Then all these famous actors who I’d seen on TV and in films were walking through the door, one by one. It was surreal. “But they were all dead nice and down to Earth and I got on well with everyone. Part of my job was to give Jack some coaching so he could play a bit during one of the scenes. As I do a fair bit of coaching I was very comfortable with that side. And he couldn’t have been easier to work with. Even though he’s a Hollywood star now he’s just a lad from Derby. Astley’s character Duncan Ferryman is involved in two scenes. In the first, he’s playing in the opening round of the World Championship and he has to make a century break. On a real table. At the Crucible. No pressure then. “It was a massive adrenaline rush,” he said. “Ralf’s character did his Rob Walker impression to introduce me, then to walk out into a full Crucible was just a huge buzz. It was a bizarre feeling because of course it wasn’t a real match, but it’s still a live audience and I had to go and perform. I had some nerves for the first few nights but I soon got more comfortable and enjoyed it. I tried to imagine it as a normal match scenario and prepare for it that way. “We set the balls up nicely for me to make a big break but the table was actually made of MDF so it could be moved on and off the set. The cushions were dead so I had to hit some shots twice as hard as usual, and there were a few drifts on the table. Also I had to wait for a few seconds in between shots while the commentators were speaking, so I couldn’t play with my usual rhythm. In his second scene, the denouement of the play, Astley take on O’Connell’s character Dylan Spokes in the World Championship final and it comes down to the last pink and black. “The brilliant thing about it was that the director and writer decided we couldn’t control exactly what would happen on the table so we would have two different endings,” said Astley. “I’m not sure there’s ever been another play like that and it recreates the unpredictability of live sport. “They knew it was unrealistic to expect Jack to actually pot the winning balls every night. So there was another ending where my character ends up winning. There’s a love story element to the play and Jack still ends up getting the girl so he doesn’t do badly. Out of the 27 shows, Jack won the world title 20 times and I won seven. The Nap got sensational reviews, given five stars by many national newspapers. “Glorious, nail-biting, theatrical fun,” was how The Guardian described it. “Everyone was so happy with how it went,” said Astley. “Even Jack, Ralf and Mark said it was one of the best things they had been involved in. 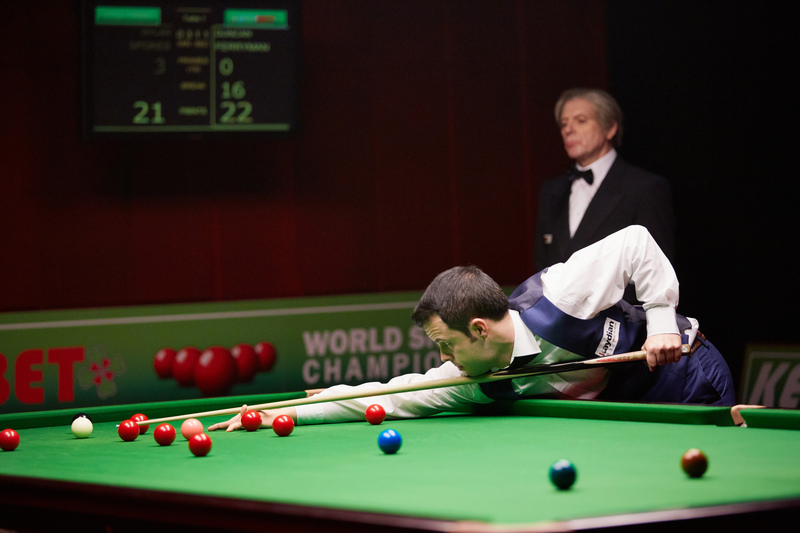 It was such a great experience for me and I’m just delighted to have been a part of something which is obviously totally different to playing snooker. Critics and fans have suggested that The Nap should go on tour to different cities, and Astley is keeping his fingers crossed. But if Astley’s thespian career does turn out to be so short and sweet, he’ll focus on fulfilling his talent as a snooker player, and he’s now competing in Q School and hoping to regain a place on the pro tour. “I hope they use tables made of MDF because I’ll be unbeatable,” he joked. Perhaps one day he’ll qualify for the Crucible for real, and he’ll know exactly how it feels to stand behind that famous curtain.